London Metropolitan Railway Buffers: they’re here! Lorenzo already used them for his model and is happy about them. 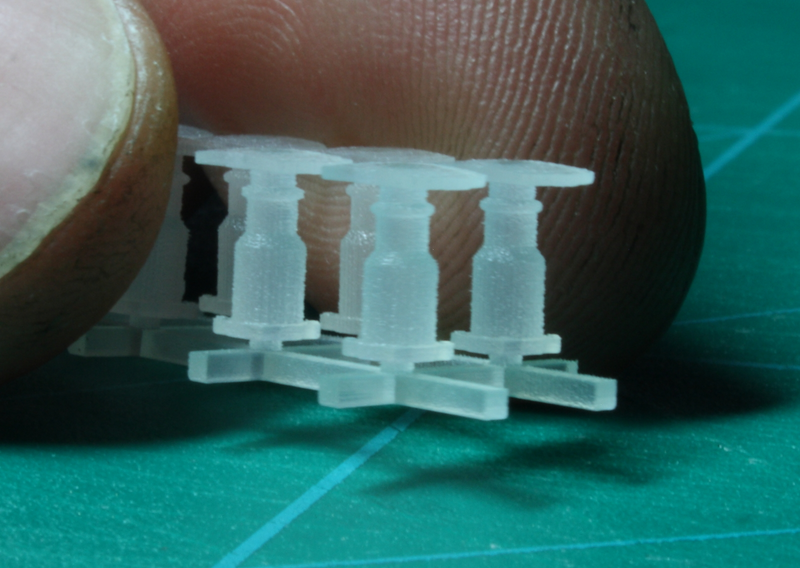 They are ready for sale in 1:87 scale on shapeways. I can offer them in any other scale and/or material on demand. 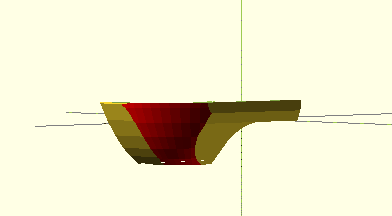 The lower valance Lorenzo designed with OpenSCAD shows a significant improvement compared to the original basic model I created with FreeCAD. Nevertheless it remains too spiky and irregular in the inside profile. Here comes into play my skills as a new Blender user: I had a lot of fun learning the basics of meshes manipulation to adjust, recreate and smoothen it. Now it’s time to adjust the other profiles to this new refined lower valance and re-create the upper part of the cabin. 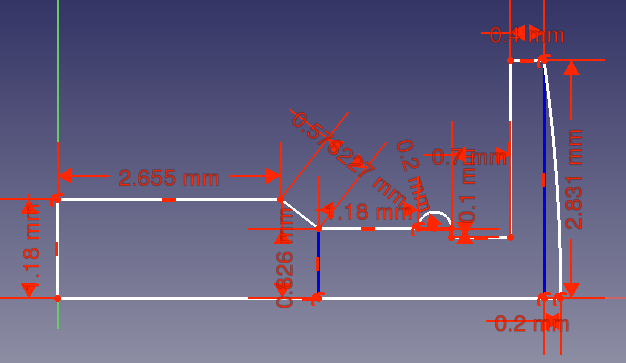 After exploiting all the available features of FreeCAD, facing its limits for my project and getting the first prototype, time has come for the redesign. There are a few changes in the concept (basically how to split the locomotive into parts and which details to provide) and a new workflow, including openSCAD to design 3D solid shapes which are not simple extrusions of 2D faces, while keeping FreeCAD for some easy geometrical sketches, to extrude simple shapes and to put the basic blocks together at the end. Blender is also of great help to work with the mesh format both for some fine adjusting and handling of curved surfaces to be exchanged among different software tools. As first step we (my model partner Lorenzo and I) decided to split the design of the cabin with a horizontal plane cutting at the level of the spiky edge on the front, just below the lights housing: he wanted to redesign the lower valance with OpenSCAD. We started again from the drawings with Inkscape, traced over the blueprint and shrunk to the 1:87 scale dimension. 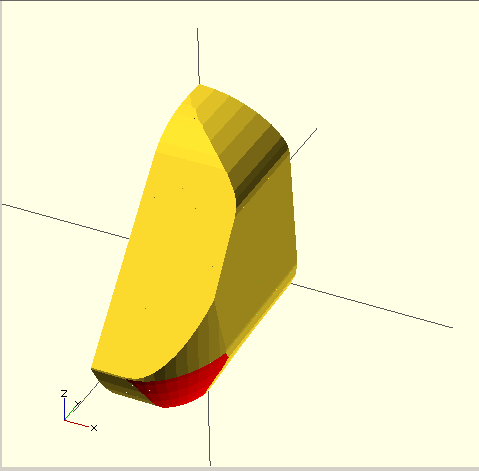 The valance (the lower part of the cabin) required (and openSCAD allowed it 😉 ) more work: Lorenzo recreated the basic solid inside OpenSCAD , then he could create the valance as intersection of ellipsoids, shaped as he needed, matching the section of the upper part: this hand definition of the shapes would not have been possible in FreeCAD. 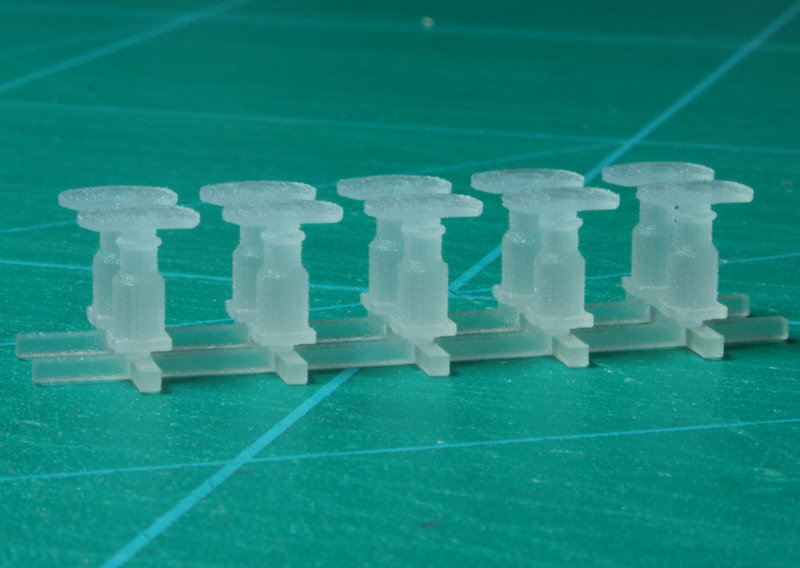 Finally I received the first 3D printed prototype: the white one. 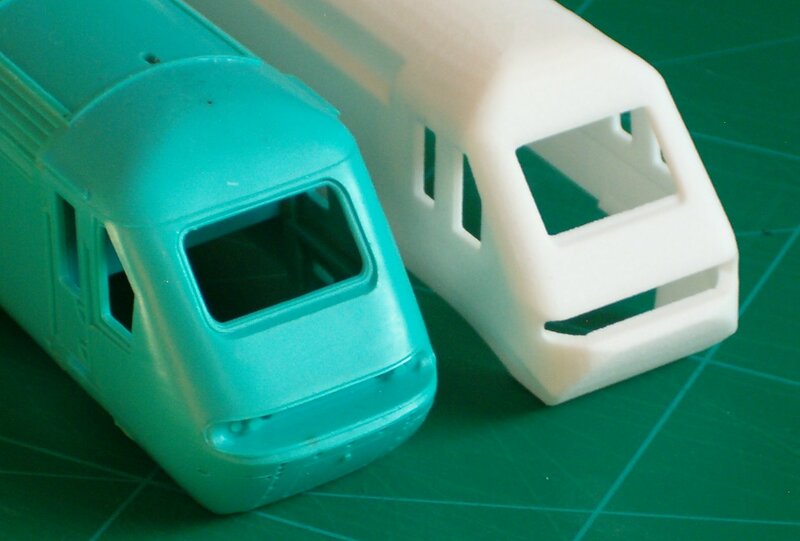 In the pictures it is next to a 1:76 class 43 shell from Lima (the turquoise one) for comparison. Here below you can see the side details I added: the inset for the grid, the window cuts. 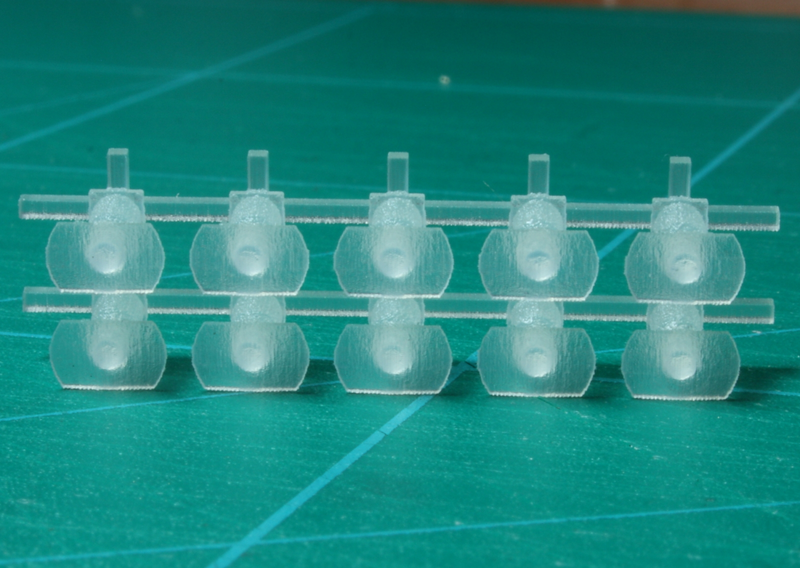 The longitudinal cutouts where the roof starts are meant to host the roof grids: either created with photo-etched metal, or the grid blocks to plug in I will print in the next version. All the roof details are still to be done, while on the back I made the proper shape and the window cuts are done. I’m already back to work on the “to do” list for the next version. I’ll keep you posted.